Released simultaneously with its companion book, Now You See Me, Now You Don’t, this very attractive wordless book for the very young offers joy and fun from its bright orange front and back cover to everything in between. A crocodile, bird, rabbit, mouse, hedgehog, and rhino are the characters that fill and empty the vibrant coloured pages. It is a different game this time. Parts of the animal are shown on the page and the reader must guess or work out, which animal the part belongs to. These characters can be related back or forward to the ones in the companion book. 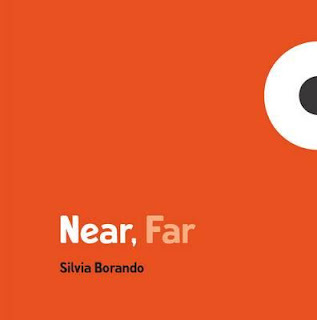 Silvia Borando has designed and created these books with developing minds as the target audience. Interactive and entertaining like its partner, eye-catching colours are again at play and both books promise to bring a smile to the faces of early learners in a simple and challenging educational experience.